John and Taylor are back from an unplanned extra week off, but it feels so good to get back into some Classic Who! This time, we review the 5th Doctor story "Arc of Infinity!" 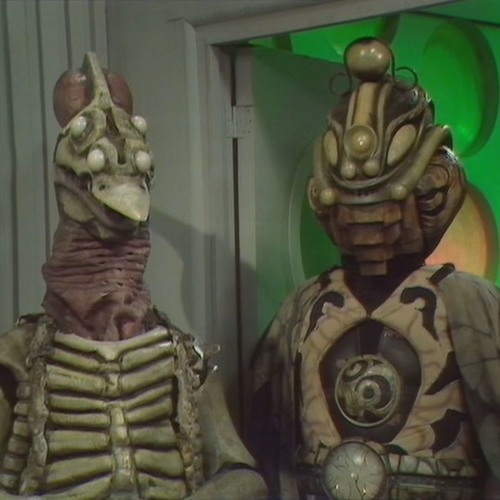 Omega is influencing Gallifreyan High Council politics and one of them is clearly colluding with the anti-matter baddie. Who is it? Why are they doing it? How deep does the corruption go and why does the Doctor need to die? We subpoena absolutely nothing and dive into the first story of Season 20. Join us as we run through the streets of Amsterdam with a molding version of the 5th Doctor!